Artlogic Mega Portfolio ACP400 is the ideal all-rounder portfolio. It is made from stylish black nylon fabric and features a 7.5cm gusset. 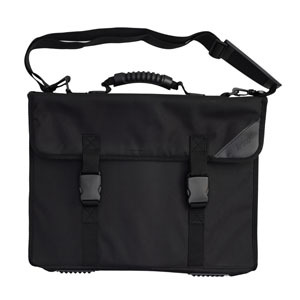 The Artlogic Mega Portfolio ACP400 features a shoulder strap, 2 internal zippered pockets and 3 pen holder pockets.